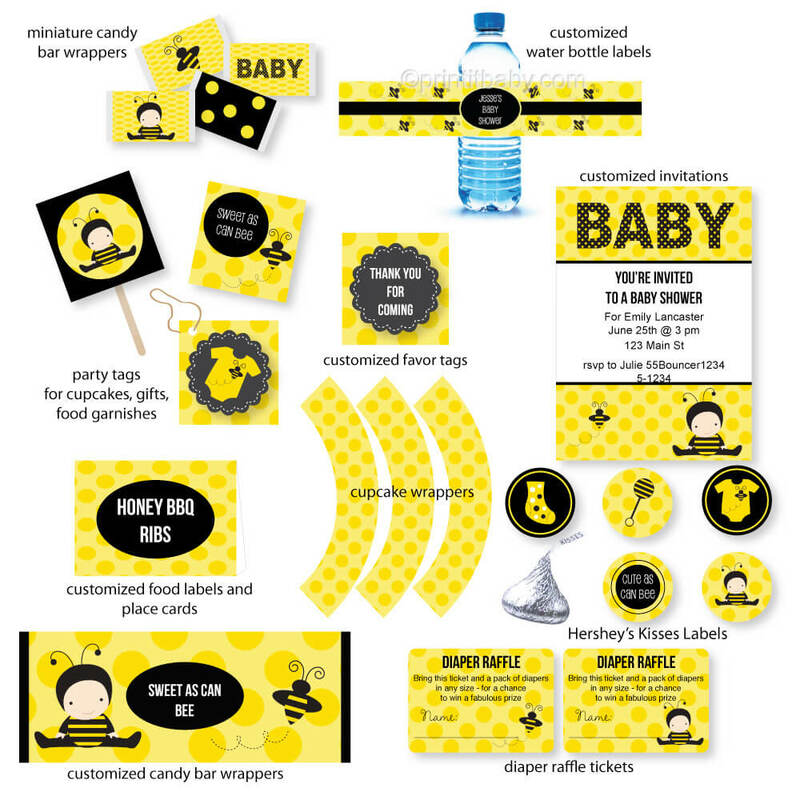 A yellow baby shower theme is perfect for a gender neutral baby shower, where the mom and dad to be may not be finding out what the baby is until it is born. 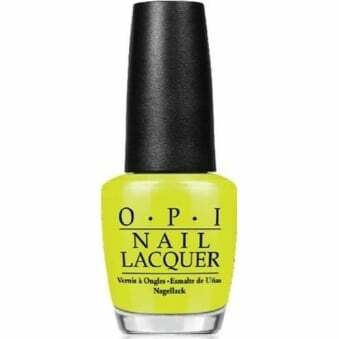 Or, a yellow themed shower can be for anyone who just simply loves the color yellow! 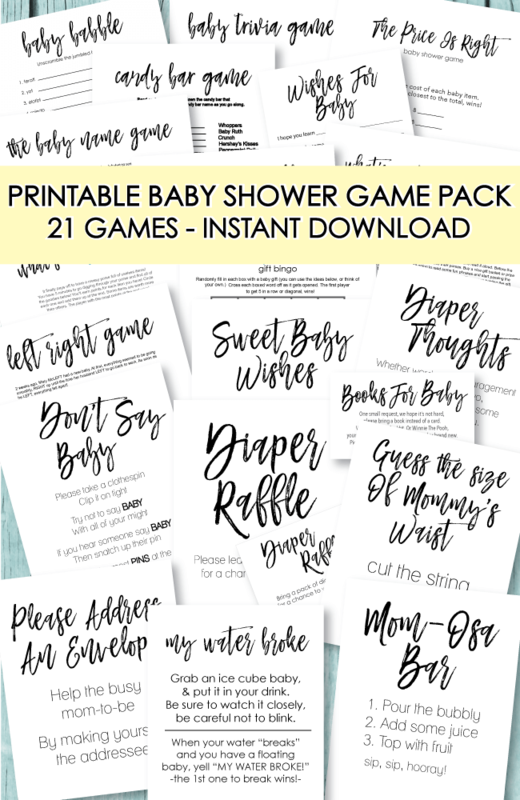 It is a wonderful choice if you are looking to throw a bright and cheerful shower - which many people do since the arrival of a new baby is a cheerful occasion! 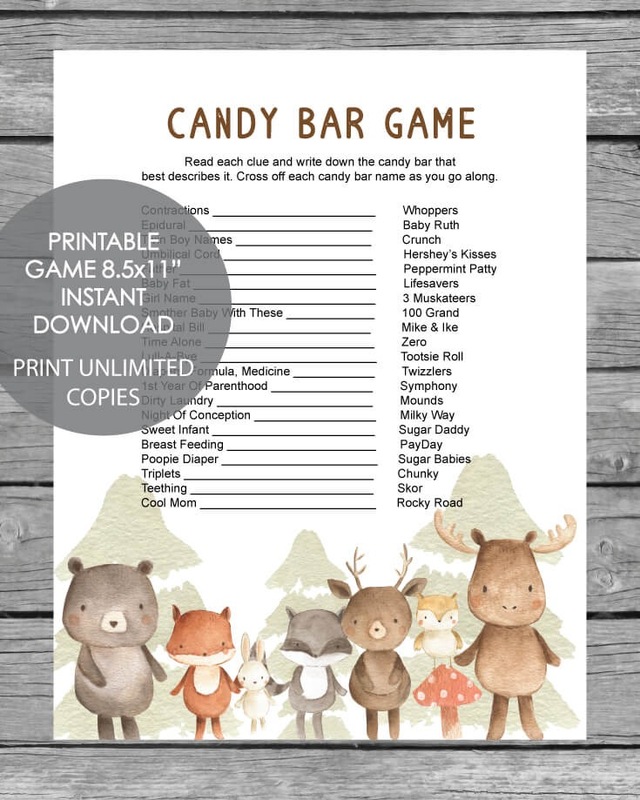 It is also a great choice when planning a spring or summer baby shower. 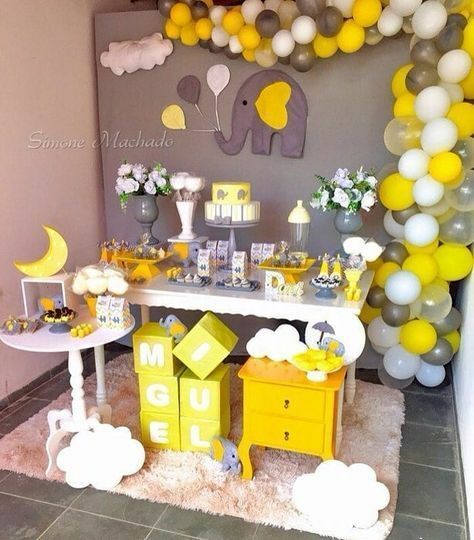 Let's get started with all of the cute, inspiring yellow baby shower ideas! Below you find ideas for yellow decorations, favors, food, games and cakes! 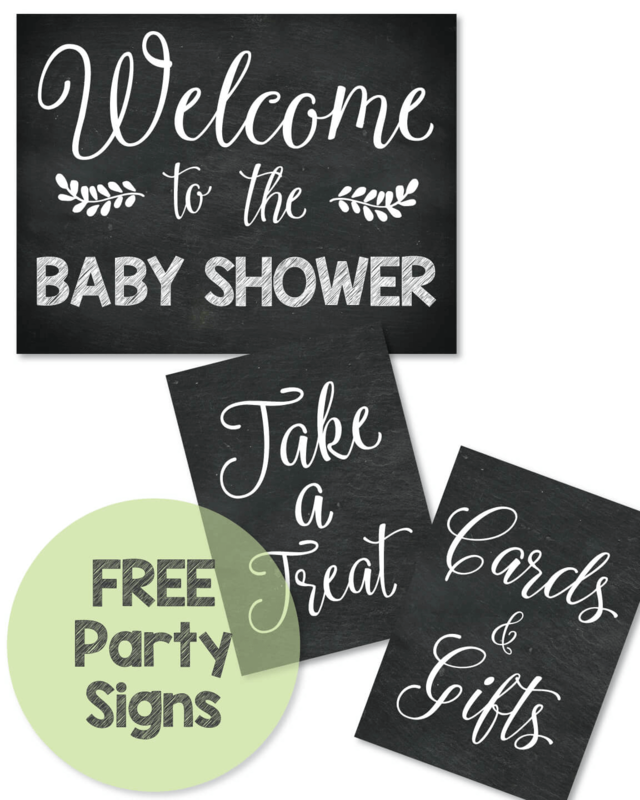 Start of by choosing what kind of baby shower decorations you plan to have at the shower. 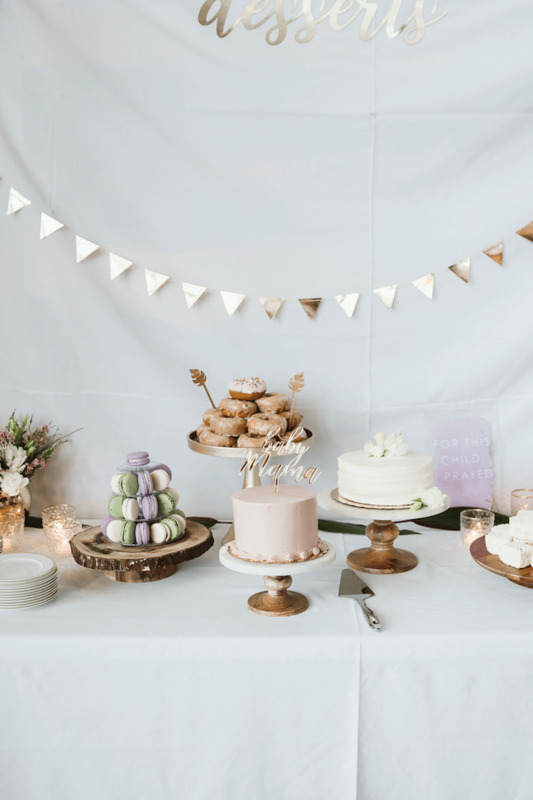 Flowers, balloons, streamers, centerpieces, rustic, traditional, minimal - To make your planning easier, you can always find out what the mom-to-be likes and doesn't like to get some ideas on how to decorate. 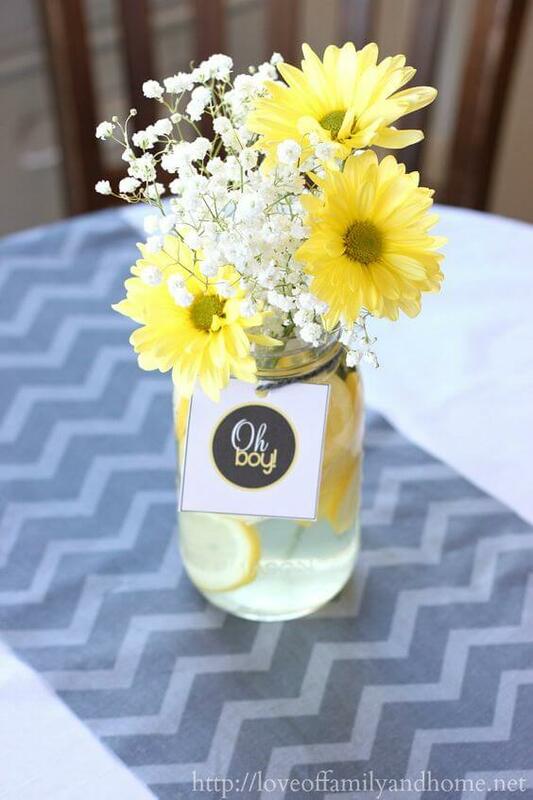 Since yellow is such a cheerful color, bright flowers seem to be a perfect choice for baby shower decor. Tulips, sunflowers, pansies, roses - you can even incorporate some pretty orange and red flowers. Add some baby's breath (how fitting for a baby shower!) and yellow daisies to a mason jar filled with water. Slice some lemons up and tuck them along the sides. I have even heard that lemons make the flowers live longer - so that is an added bonus! Yellow tulips or sunflowers would also look beautiful! 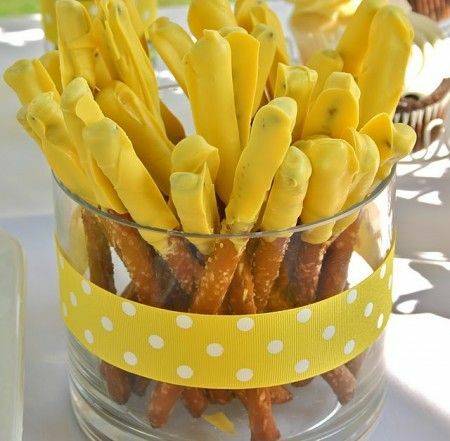 This yellow baby shower centerpiece is the cutest thing and so easy to make! You can actually go to the dollar store and purchase glass candle holders and votive candles. 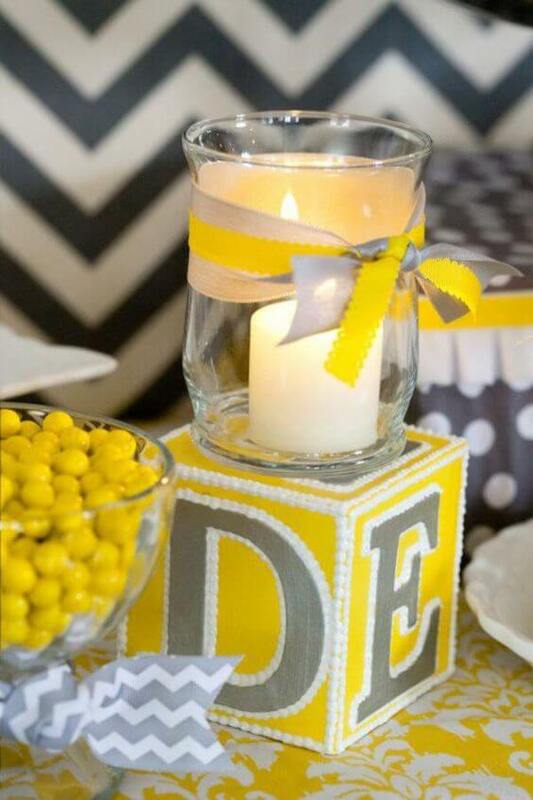 Tie yellow and gray ribbon around them and you are all set with adorable centerpieces! You can even add things like yellow sand, rocks, lemon head candy, yellow M&M's, etc to the bottom of the vases for an added pop of color! 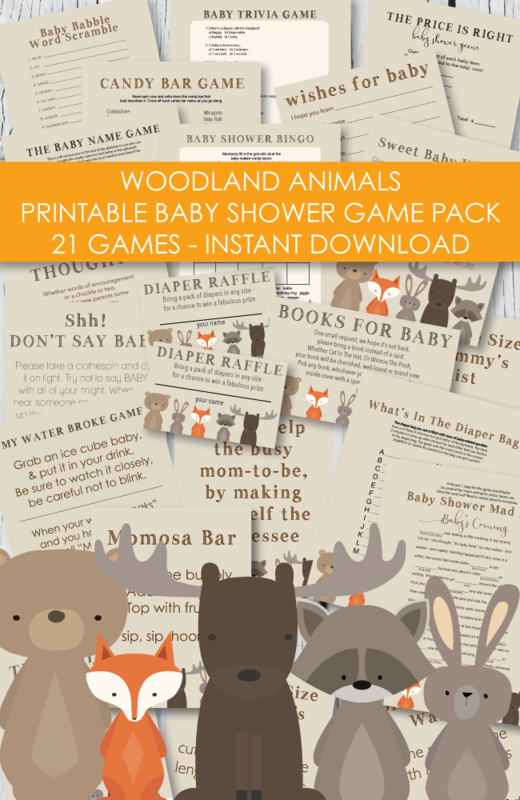 You can even give them away at the end of the shower as baby shower favors if you make several of them. Have guests draw a number from a bowl as they arrive at the shower. 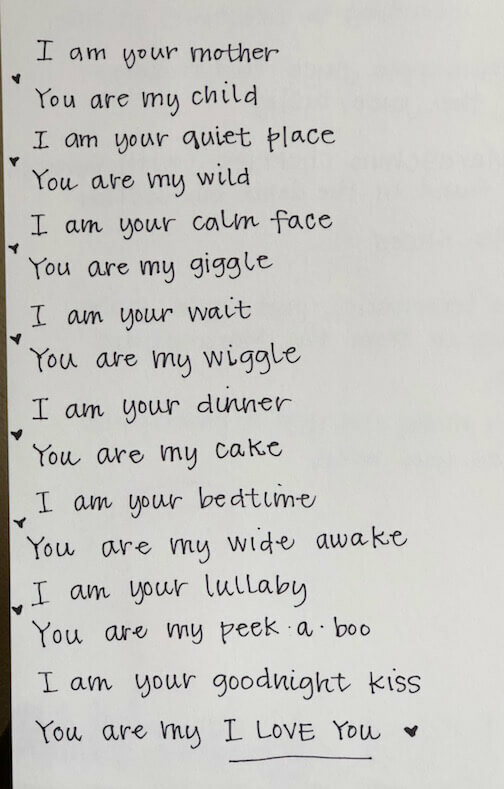 When the baby shower is wrapping up and people are about to go home, have them look under the vases and the guests whose numbers match the vases, gets to take them home. 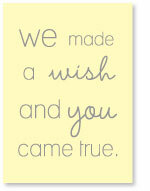 add a baby shower favor tag and there you have it! 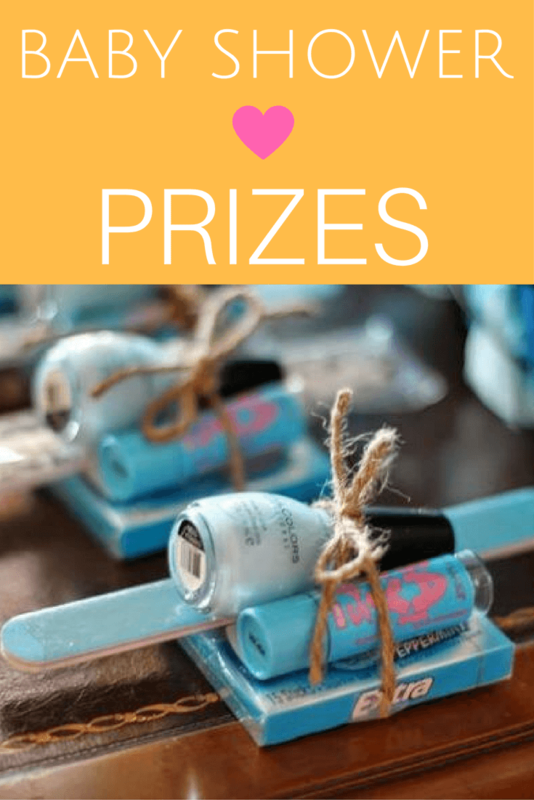 Easy baby shower favors! 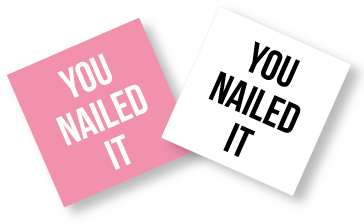 grab some FREE "you nailed it" - prize tags if you are giving them away to baby shower game winners as baby shower prizes! 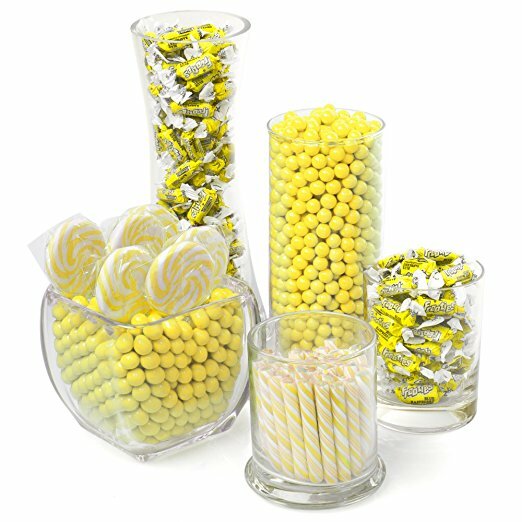 Another easy favor idea is to set up a candy bar with bowls of yellow candy - buy bulk candy in yellow like - yellow Starbursts, lollipops, M&M's, Lemonheads, lemon drops, etc. Let guests scoop the candy they want into bags and take home as favors! 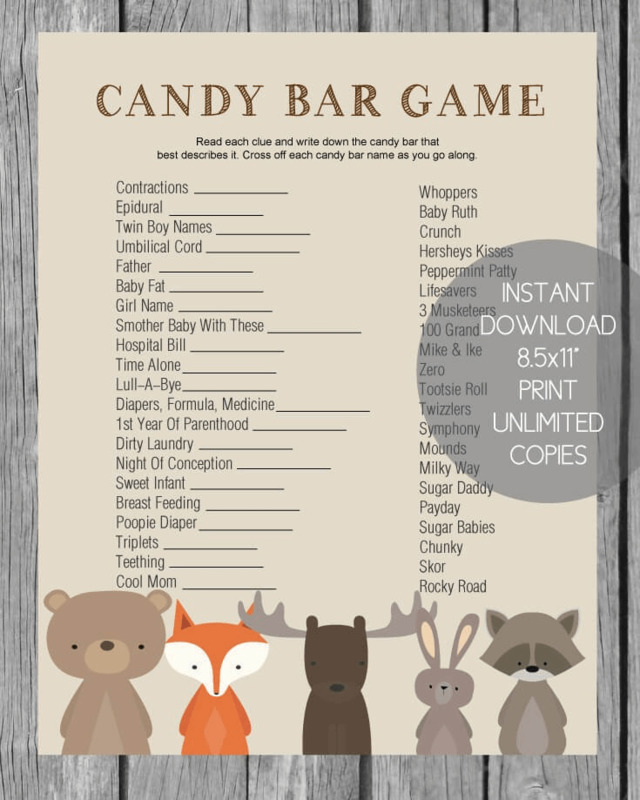 There are several clever ways to get creative when planning your baby shower food menu! 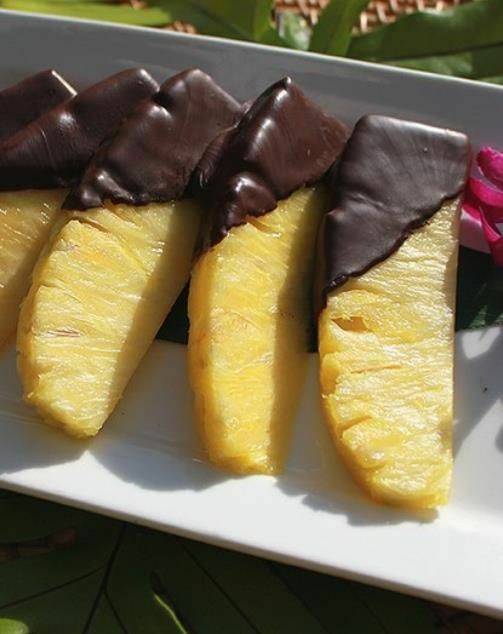 For a delicious baby shower snack, simply dip pineapple spears into melted chocolate and let dry on waxed paper. Serve on a tray and guests will gobble them up! You can also melt white chocolate and color with yellow food coloring. Some popular foods to dip into the chocolate are: pretzel rods, regular pretzels, Ritz Crackers, marshmallows, Nilla Wafers, sugar cookies, strawberries or any fruit! Get creative! You can also take it up a notch by having a chocolate fondue machine for guests to dip the items into themselves. So fun! 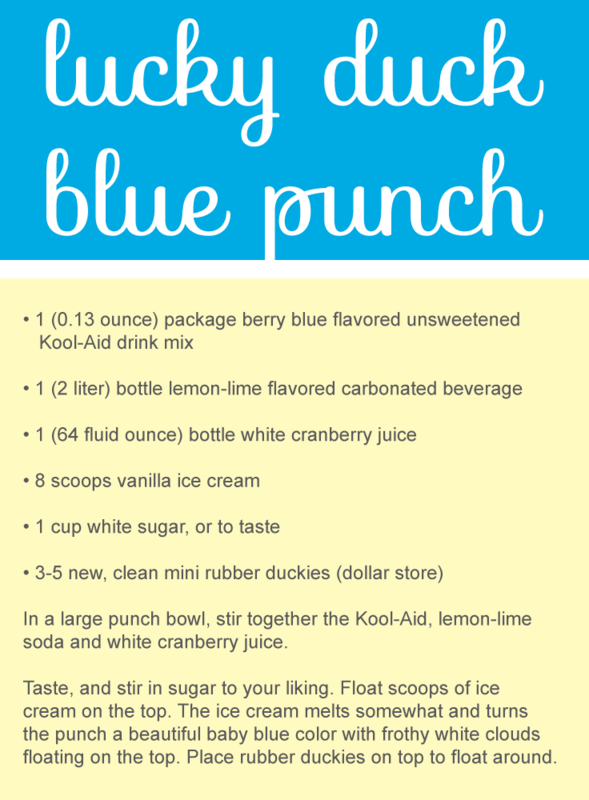 If you want to go with a yellow punch for the baby shower, the most popular is good, old-fashioned lemonade. Add some sliced lemons on top and it will be a beautiful presentation! 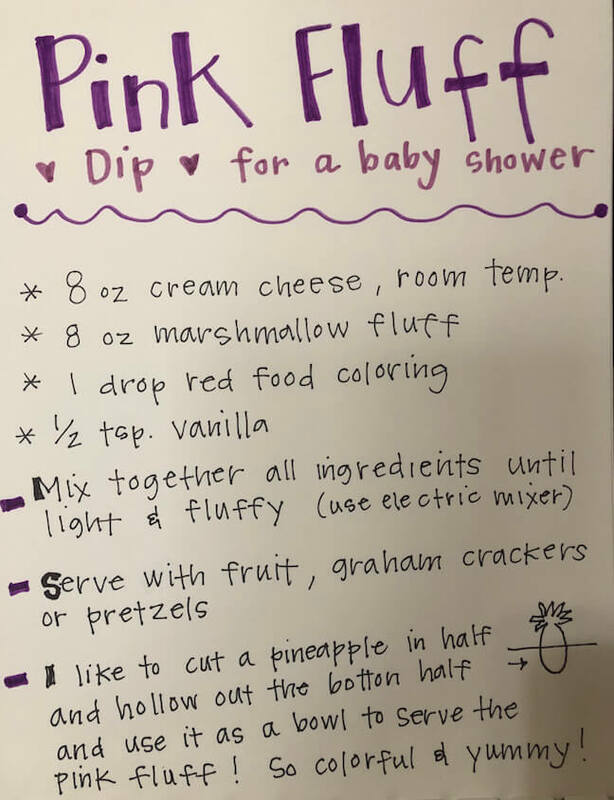 If you are going with a yellow duck theme, or just want to add some other colors to the mix, then the recipe below is the way to go! 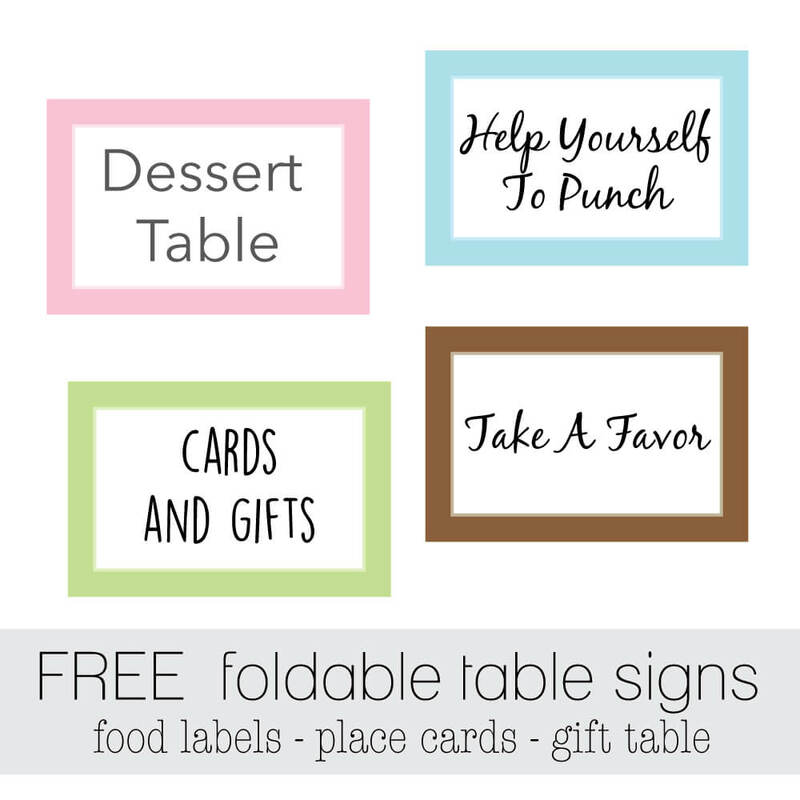 It is a crowd favorite - your guests will love it! Promise! 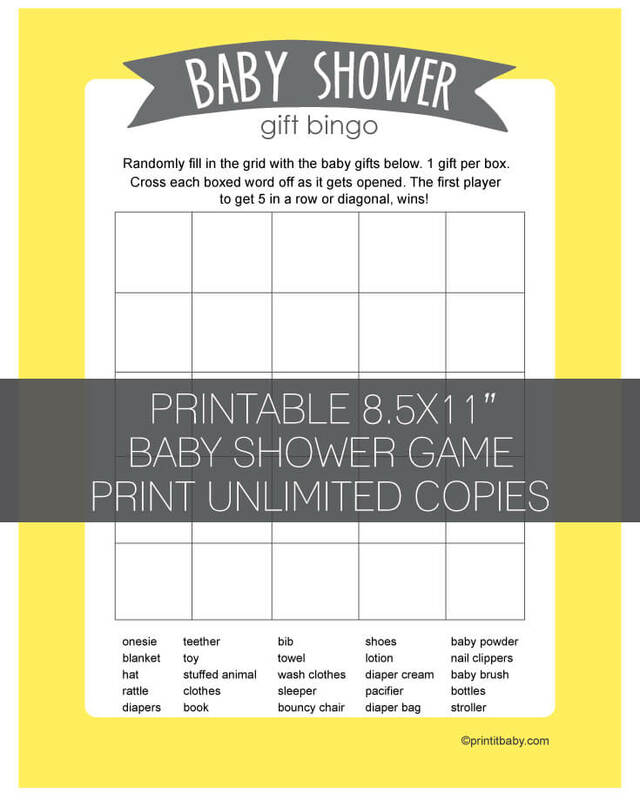 Yellow Baby Shower Printables - Games, Decor, Invitations and More! 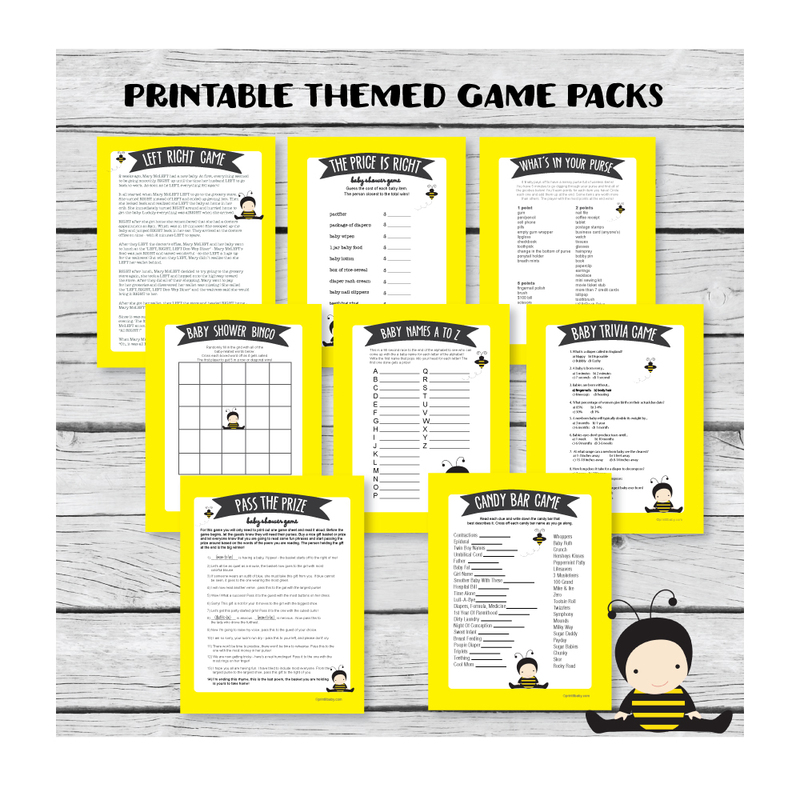 Easily print off all of the yellow baby shower games you need - the games we have included in this baby shower bundle are the most popular from the site. 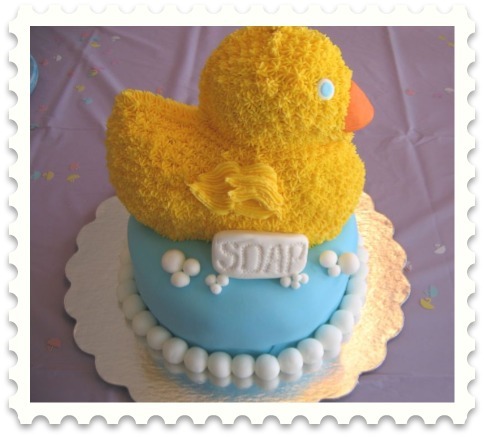 Be sure to check out our baby shower ducky cakes! They have all been submitted by readers just like you - and they are sure to inspire you!